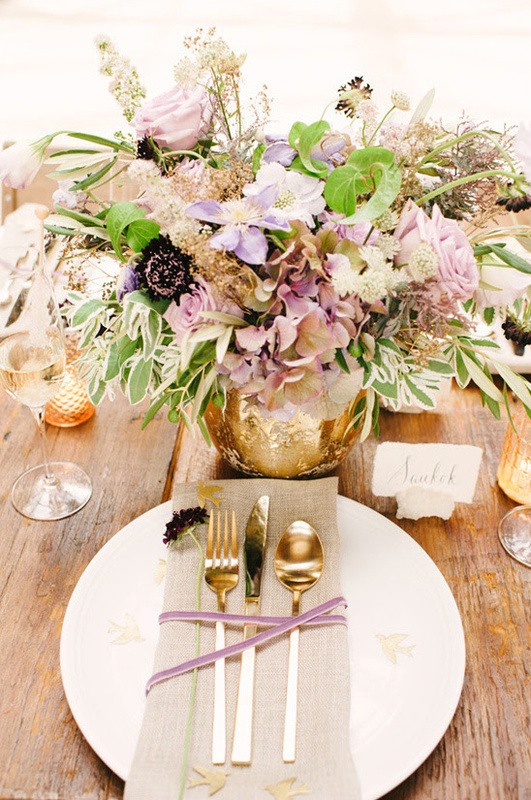 Michelle Edgemont specializes in unconventional, modern decor and flowers for urban weddings in New York City. Michelle is a Brooklyn based wedding designer who specializes in custom crafted decorations, flowers, and styling for couples looking to throw traditional out the window – and bring their own unique, warm, sparkling personalities into their wedding day. She believes a couple should be surrounded with the people that love them the most in a space filled with the colors, textures, and flowers, that light their faces up with smiles on their wedding day. She pulls inspiration from the whimsical, colorful, fresh, and unexpected; Her clients hire her to create custom crafted elements and funky floral arrangements that scream their own unique sense of awesome. View all of her incredibly fascinating work here and don't forget to take a peek at her Wedding Chicks vendor page. Join us again tomorrow for another Wedding Chicks vendor happy hour. To get information on becoming part of The Wedding Chicks, and join all the fun, email us by clicking here.